If you own a commercial building you own a roof and understand the need for routine maintenance in order to keep the roof functioning properly. Inspections are part of regular maintenance, as the inspection addresses potential problem areas before they have the chance to cause structural issues to the building. The standard routine is to have an annual inspection, and that will take care of ordinary problem areas as they arise. Some years, according to the weather, you may need an additional roof inspection to quickly find damage caused by a specific storm before the roof leak causes internal damage to your building. 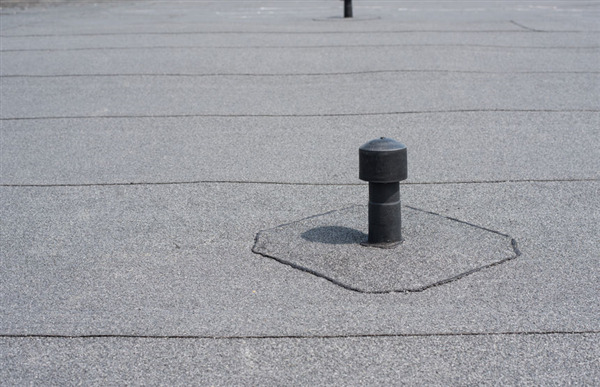 A flat roof is designed for minimal maintenance and strong performance for a commercial building, or in some cases as an architectural detail on a home. In spite of their general durability, flat roofs do have weaknesses. They require routine maintenance, and typically need an inspection more often than the homeowner's pitched roof. The advantages the flat provides is it rarely if ever needs replacement when the proper maintenance is conducted over the years. A roof failure with a pitched roof generally requires a full replacement whereas a flat roof can usually be repaired. The key isn't a magic trick, it's as simple as having a professional inspection which can address problems before rather than after they occur. It cannot be over emphasized concerning the need for routine inspections on your roof. The smallest problem, the smallest drip of water as it comes through, can cause exponential damage to the very structure of your building. A single drop of water will cause mold, mold is a toxic poison in and of itself but also draws insects. Insects, in turn, draw rodents. In the meantime, the original leak is only going to get worse, providing more homes for infestations you don't want in your building and especially not in the attic space where you won't even know you're growing a miniature eco system. How Often Do You Need a Seasonal Inspection? Flat roofs are designed to take abuse, you generally only need an annual inspection. After a heavy snow melts and drains, or a particularly heavy thunderstorm with hail, you may want to have the gravel re-spread and check for any damage which may have occurred.